The prince was not yet out of danger, for according to most sources, the assassin’s dagger had been covered in poison. As the alarm was raised throughout Acre, officials and doctors came running to help. What happened next depends on which chronicle you read. One version explains that it was Edward’s wife Eleanor who saved him by sucking out the poison with her mouth. Another account says that an English surgeon was called in to operate on Edward, and he proceeded to cut away the inflected flesh around the wound. In this story, Eleanor started to cry, prompting the annoyed surgeon to ask that she be taken away; since it was better that she should weep now rather than have the whole of England do it later. What Edward thought of all this has sadly gone unrecorded. This little episode has been treated as something of a footnote by historians – a funny little thing that happened to Edward on his trip to the Holy Land, before being able to head back home and start his new career as the famous king Edward I. The mastermind behind this attempted assassination has been pegged to be a local Mamluk commander, or even the mysterious Ismaili leader of Syria – the Old Man of the Mountains as he gets called. I believe that this assassination attempt was part of a much larger operation – one that sabotaged crusader operations for several months and prevented them from coordinating a joint invasion against Syria with the Mongols. Around 1270 the situation in the Middle East was like this – Egypt and Syria were under the control of the Mamluk Sultanate – and their leader the Sultan Baybars. Over the last few years they had been gaining success after success against the Crusader States – taking Saphet in 1265, Arsuf a year later, and the important city of Antioch in 1268. In the spring of 1271 Baybars even captured the great castle of Krak de Chevalier. Still Baybars needed to be very active in preparing defences in Syria and using any means possible to hold back future Mongol attacks. One key part of the Mamluk strategy was intelligence and espionage – being able to learn as much as they could about Mongol, and Crusader, operations, and find ways to stop them. An information network was established that could bring important news to Baybars from all parts of his territory. From the northern borders of Syria to Gaza the Mamluks set up a string of small stations on mountaintops, which could watch out for any enemy incursions. Once they had spotted approaching invaders, the station would send out smoke signals that would be relayed throughout the communication line. In other areas, the Mamluks made use of pigeons to bring vital news to and from the frontier. A Mamluk military manual from the fourteenth century commented, “it is obvious that they are among the fastest means of communication because the pigeon covers the distance of twenty days’ walking in less than day.” A postal system was also created, in which riders could carry longer messages and correspondence and be able to use waypoints to take on fresh horses during every stage of their journey. This meant that Baybars could write his orders in Cairo and have them delivered to Aleppo in just four days. The most typical activity of the Qussad was to bring news of political events and troop movements within the Ilkhanate, but judging from the stories written by chroniclers, they also engaged in more nefarious activities. There are a few cases of assassination attempts against Ilkhanate officials, but the Qussad more often took advantage of the Mongols’ mistrust of their Iraqi and Persian counterparts to cause trouble in the region. In some cases, the Qussad recruited Muslims within the Ilkhanate to work for them, or to defect and flee to Egypt. But when dealing with officials loyal to the Ilkhan, they would manufacture evidence, such as a forged letter, purporting to show that these same officials were collaborating with the Mamluks. Then they would find a way to get this information into the hands of Mongol leaders, who in turn would arrest and execute the falsely accused traitor. It is very likely that it was two Qussad agents who were sent from Damascus to Crusader territory in 1270 for a very special mission – to kill two important Crusader leaders, namely Philip of Montfort, Lord of Tyre, and his nephew Julian of Sidon. The two Muslims were dressed up as high-ranking Mamluk soldiers, and sent on horseback to Tyre. When they arrived, the two men told Philip that they had come to convert to Christianity and join the Crusaders. Naively, the Lord of Tyre accepted their story and had them baptized and even retained them as soldiers in his service. Over the next few weeks, the two Muslims bided their time, waiting for the right opportunity to carry out their attack. Their act was so good that they seemed to have been readily accepted by the other Crusaders, and they even made friends with one of Philip’s servants. It happened that one day this servant had come over to share a meal with the two assassins, but they were not in their room at the time. The servant than started to snoop around their lodgings, and as he looked into a quiver of arrows he came across a poisoned dagger wrapped in cloth. When the two assassins returned, the servant confronted them about it, and soon he was told about the whole plot. If the servant was loyal, he would have gone to Philip and told him about all of this, but instead he was promised a bribe of 100 bezants by two assassins to keep quiet. Now the assassins did not have that much money on them, and since they had told the servant they would pay him in a couple of days, they now decided that it was now or never for them to carry out their mission. One of the assassins was to go to Beirut, where he could find Julian of Sidon, while the other was to remain in Tyre and wait for the first opportunity to kill Philip. He got that chance on an early Sunday morning, when he saw the lord of Tyre standing alone in the courtyard of his castle, just outside of the chapel. 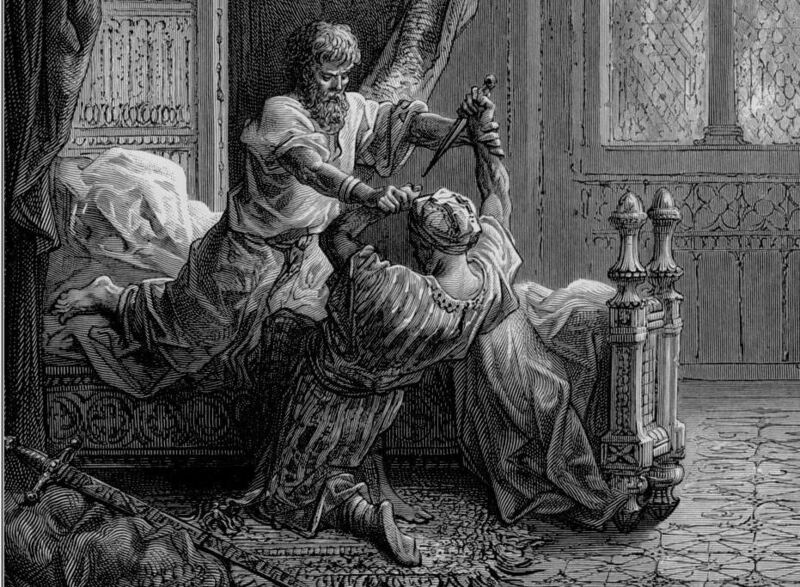 As Philip was distracted by playing with one of his rings, the assassin took out a dagger and stabbed him, leaving him mortally wounded. He then took a sword and almost killed Philip’s son John of Montfort in the chapel before he was wrestled to the ground by the guards and dispatched. A warning was quickly sent to Julian of Sidon in Beirut which caused the second assassin to abort his mission, but overall this was quite the success for the Mamluks. The Ilkhan Mongols meanwhile had been pursuing their own strategy against the Mamluks – as early as 1262 they had been sending envoys into Europe looking to get support from the Papacy and Christian kings into a joint attack on the Mamluks. During one trip to Genoa the Mongol envoys even came across a delegation of Mamluk ambassadors. This led to a brawl between these two groups in the city’s main square, which only ended when the Genoese authorities stepped in and physically separated the two sides. The Mongol rulers were promising to give the Christians Jerusalem for their support, and were always commenting on how good they were to their Christian subjects. Many of the European leaders were quite skeptical of the Mongols’ intentions – after all these were the same people who devastated Eastern Europe in the 1240s. But as the Crusaders steadily lost cities and strongholds to the Mamluks, the notion of working together with the Mongols was getting more palatable. In the summer of 1270 King Louis the Seventh of France began the eighth Crusade, but his first stop was Tunis, where the French king died there. A Mediterranean storm took out many more Crusaders, but on May 9, 1271 the remaining Crusader forces led by Prince Edward arrived at Acre. Meanwhile, within a couple weeks of his arrival, the English prince had sent messengers to go to the Ilkhanate and let them know that he was ready to work with the Mongols. Abaka sent Edward the following reply: “After talking over the matter, we have on our account resolved to send to your aid Cemakar at the head of a mighty force; thus, when you discuss among yourselves the other plans involving the fore-mentioned Cemakar be sure to make explicit arrangements as to the exact month and day on which you will engage the enemy.” This Cemakar was in fact a Mongol general named Samaghar, who commanded the Ilkhan’s army in present day Turkey. Edward returned to Acre, where he continued to gather forces, which knights from the Templar, Hospitaller and Teutonic orders. According to one historian, Edward had almost 7000 men under his command, although that figure may have been much less. Still, his force was strong enough that Baybars feared that the Crusaders were going to make an attempt to retake the fortress of Saphet. Meanwhile, it late October, Samaghar began his campaign against Syria. He brought 10 000 men to the borderlands between the Ilkhanate and the Mamluk kingdom, and sent in 1500 elite Mongol troops to scout ahead and conduct raids against the local Turcomens. Their arrival also caused panic in Aleppo, where its garrison fled immediately. With the Mongol forces now in northern Syria, it would seem logical for Edward to lead his crusaders to that area as well, where they could undertake joint operations or assist each other. Instead, on November 24th, the Crusader army left Acre, but headed south, attacking an area around the small outpost fort of Qaqun. Why did he do this? One important clue comes from the Templar of Tyre who writes it was Edward’s convert turned spy that played the crucial role: “It was by his offices that our men went to St.George and Qaqun,” states the chronicle. To me it seems very likely that this spy was in fact a double-agent – he was really working for the Mamluks, providing them with key intel about the plans of the crusaders. Since Edward was sending him out on missions into Mamluk territory, he would have ample opportunity to get instructions from Baybars and the Mamluk commanders. When the Mamluks learned of the Mongol advance into northern Syria, Baybars was able to quickly respond – by November 17th he had entered Aleppo. Meanwhile, he also had a plan set in motion to have his double-agent convince Prince Edward to lead his forces away from the Mongols, and give them some easy, yet strategically unimportant, target to keep them busy. The Crusaders headed south where they attacked a couple of Turcoman camps, which netted them thousands of horses and animals, before they laid siege to Qaqun, a kind of fortified tower with a small garrison. Baybars himself refers to this place a “house.” According to the Templar of Tyre “they came near to taking it, but our men were afraid to linger too long while the alarm went out across the land, since the Saracens would then assemble from all parts. So our men departed and returned to Acre with all their loot, safe and sound.” Mamluk sources suggest that their forces was able to catch some of the crusaders before they got back, and were able to rescue a few prisoners as well as some of the animals. By the time they had gotten back to Acre the window of opportunity to work with the Mongols had closed – Samaghar had retreated back to Turkey. Several months later the Mamluk spy would get one last assignment – to kill Edward. By this point, the King of Jerusalem and other crusade leaders had agreed to a ten year truce with Baybars, and the Mamluk Sultan may have thought it was the right time to get rid of the troublesome English prince. The assassination attempt did fail, but it took several months for Edward to recover and once he did he quickly boarded a ship to return to England. Several years later Abaqa would write to King Edward, looking for his help again. The Mongol leader does apologize for not offering sufficient aid during the invasion of 1271, but it would be really surprising if he decided to criticize Edward’s behaviour and at the same time ask for his support. If the account from the Templar of Tyre is to be believed, it seems that Prince Edward and the crusader leadership were victims of the Mamluk’s espionage system, and Baybars was able to avoid having his two enemies join together. To me this can serve as a classic account of how useful spies were in medieval warfare.